Tennessee dominates Jacksonville in its third game in 11 days, thanks to Derrick Henry. NASHVILLE, Tenn. — Mike Vrabel asked his Tennessee Titans to play physical in their third game in 11 days. With Derrick Henry leading the way with a handful of rushing records, they did just that with a big victory to stay in the AFC playoff chase. Vrabel didn’t have injury updates for any of the Titans hurt in Thursday night’s 30-9 rout of the Jacksonville Jaguars. After that call with reporters, ESPN.com reported tight end Jonnu Smith, hurt on Henry’s NFL record-tying 99-yard touchdown run, will miss the rest of the season with an injured knee. NFL Network reported right tackle Jack Conklin will miss a few weeks with his own injured knee. Losing Smith would hurt the most. The Titans already lost three-time Pro Bowl tight end Delanie Walker in the season opener, while veteran Dennis Kelly is in line to replace Conklin after coming off the bench Thursday night. Kelly has started nine games for the Titans over the past three seasons. But the Titans are coming off the franchise’s best rushing performance in nearly a decade with Henry turning in 238 yards on just 17 carries for the best output in the NFL this season. Henry not only tied Tony Dorsett’s 99-yard touchdown run for the longest in NFL history, but also took the franchise rushing mark from Chris Johnson – set against the Jaguars on Nov. 1, 2009. 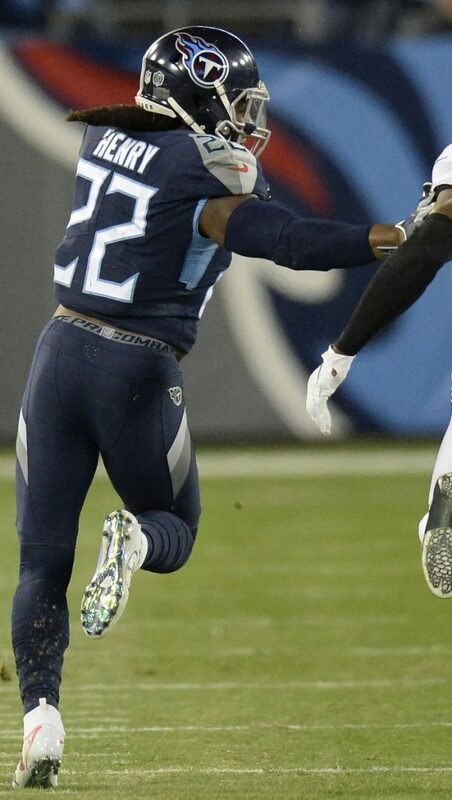 The Titans ran for 305 yards in that game and finished with 264 yards Thursday night. That topped their previous best this season by 100 yards and helped Tennessee improve to 5-1 at home. Henry, who has been as hard on himself as anyone this season, said his concentration is on finishing runs, and being efficient and consistent. Now the Titans gets some rest after moving up momentarily to the seventh spot in the AFC, just out of the second wild-card position held by Baltimore. But Tennessee still needs lots of help with four teams still holding tiebreakers, including head-to-head losses.